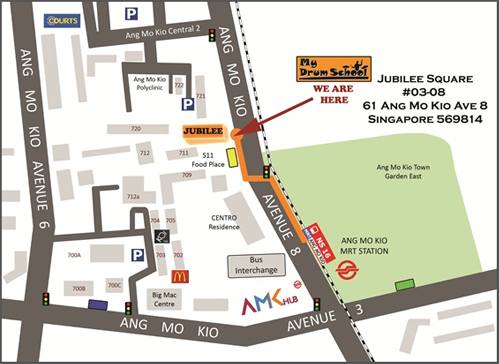 My Drum School Ang Mo Kio (North) is a stone’s throw away from the Ang Mo Kio MRT Station. Our school is less than 250 metres from Ang Mo Kio Station (NS 16). It takes less than 5 minutes to walk to MDS from the Ang Mo Kio station.